…a monthly beer and pizza pairing experience. Enjoy 5 featured micro-brews paired with 5 different homemade pizzas. Includes a souvenir pint glass from the featured micro-brewery. Reserve your spot today by calling (920) 893-5105 or emailing info@antoniosplymouth.com. The Honeygoats. No Cover and Live! 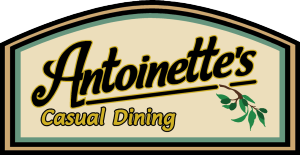 "Antonio's is a little gem in Plymouth for great live band entertainment! Well worth the drive." Always a blast when I go for live music!!! A must for fans of live music venues! "Great food! Good beer selection. Friendly bartenders." "Good food, good drinks, great spot for sports, and staff is excellent. Always clean and fast." "This place is AMAZING!!!!!!!!! Great food, awesome bartenders, and the atmosphere is TOP NOTCH!!!!!!" "Great food for a small town. Remodeling really improved the place. Always enjoy going there for sports events with friends. This is the best bar for food and atmosphere in town."